The Work at Height Regulations 2005 require an assessment to be undertaken before starting any work. Erection should be made to Prefabricated Access Suppliers and Manufacturers Association (PASMA) approved methods. 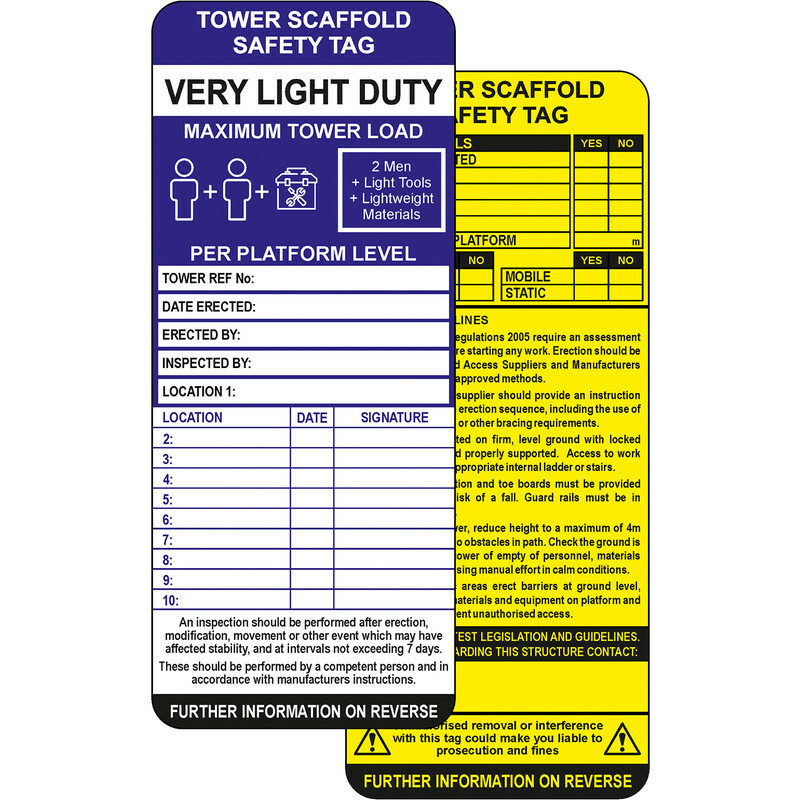 The Tower Scaffold Safety Tag provides an essential platform for entering and storing essential safety information, including movements and safe weight tolerances. Designed for use with the ClawTag holder, these tags can be fixed to the scaffold after erection without needing to dismantle part of the structure. Essential safety and audit information can be referenced with the storage of these Inserts after job completion.